The ongoing conflict in Syria and Iraq has given rise to a wide range of different modifications of military equipment, especially the mounting of automatic guns, including heavy machine guns and cannon, on a variety of different chassis. One of the most popular systems this role is the Soviet-era 57 mm anti-aircraft gun from S-60 system. This towed gun combines a maximum horizontal range of fire of up to 12 km (sighting range: 5.5 km) with a sufficiently powerful projectile (the 57 x 348SR mm cartridge, with a weight of 2.8 kg for the standard HE-T projectile) that is able to easily penetrate walls and destroy light armoured vehicles. Due to its original design as an AA gun, it also has good elevation angles of up to 87°. These characteristics have made the weapon very popular for use in both open terrain and, especially, in the ongoing urban fighting. However, unlike common heavy machine guns and cannon including the 12.7 x 108 mm DShK/DShKM types, 14.5 x 114 mm KPV type, and 23 x 152B 2A14 type, the recoil and weight of the towed S-60 (4775 kg in the firing position) exclude the possibility of mounting such a weapon on a light chassis such as a pickup truck. 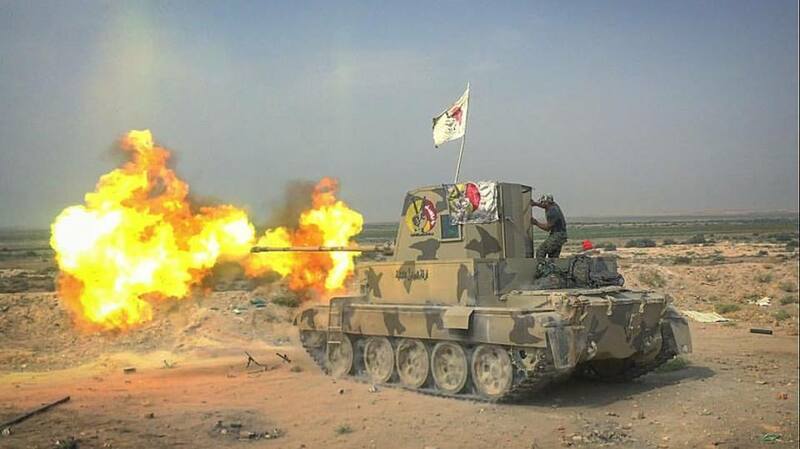 As a result, the most common self-propelled variants observed in Syria and Iraq are mounted on truck chassis. 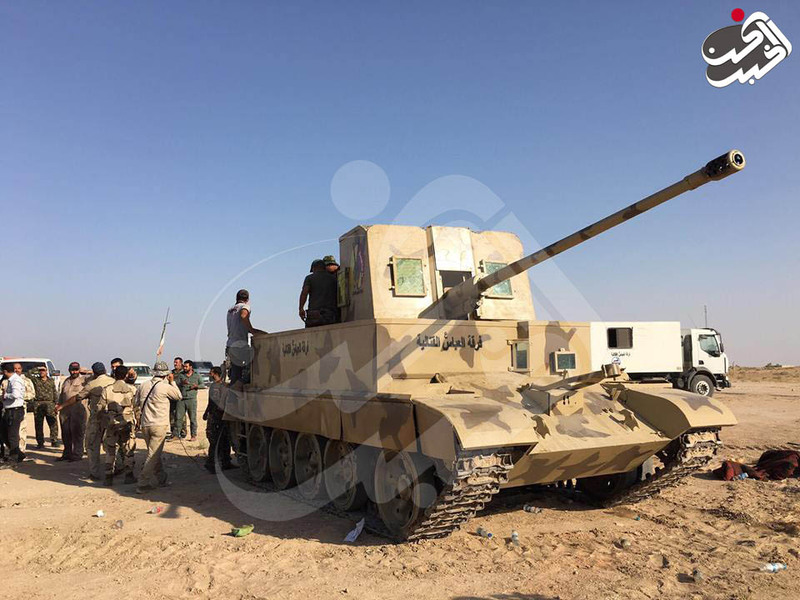 In September 2016, an interesting variant was observed in the possession of one of the pro-government, Shi’a popular mobilisation units (PMUs), known as Farqat al-Abbas. A workshop of Farqat al-Abbas has mounted the 57 mm gun on the chassis of a T-55 main battle tank. The result is a heavy armoured fighting vehicle which can provide rapid fire support, quickly engaging vehicle-borne improvised explosive devices (VBIED) and other light vehicles, support infantry during combat in urban areas, and provide a persistent support capability. Mounting the S-60 gun on a tank chassis rather than a truck also provides substantially more armoured protection for the crew and offers increased mobility over rugged terrain. One source has suggested that fighters are referring to the tank as a ‘Type 57’, presumably in reference to the 57 mm gun. Special thanks to Jack Watling.